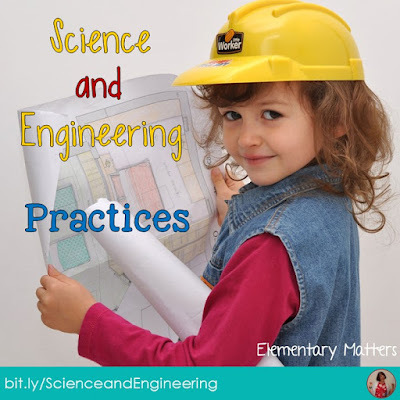 After spending time studying the Next Generation Science Standards, I wanted to share the Science and Engineering Practices. After several years with Common Core, I'm sure you'll remember the Standards of Mathematics Practices. See HERE to jump start your memory. 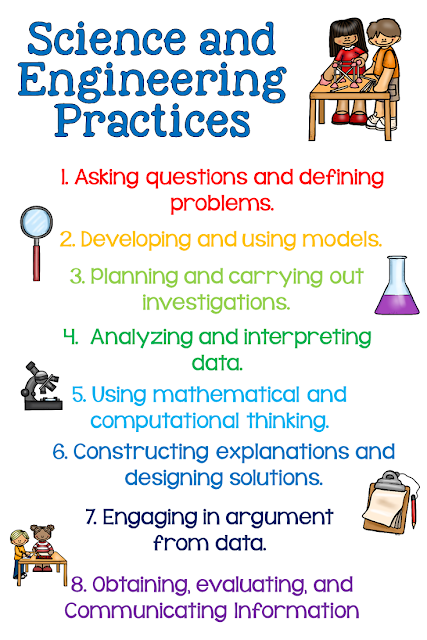 If you recall, these practices apply to all grade levels, and all math learning. HERE's a nice article I found that discusses each of these practices from the science and engineering point of view, for the different levels from Kindergarten to Grade Twelve. These aren't just Science and Engineering Skills, they are LIFE Skills! These are the skills we should be teaching our students. Even if it's not on the test! These practices can be embedded in many activities across the curriculum, can't they? 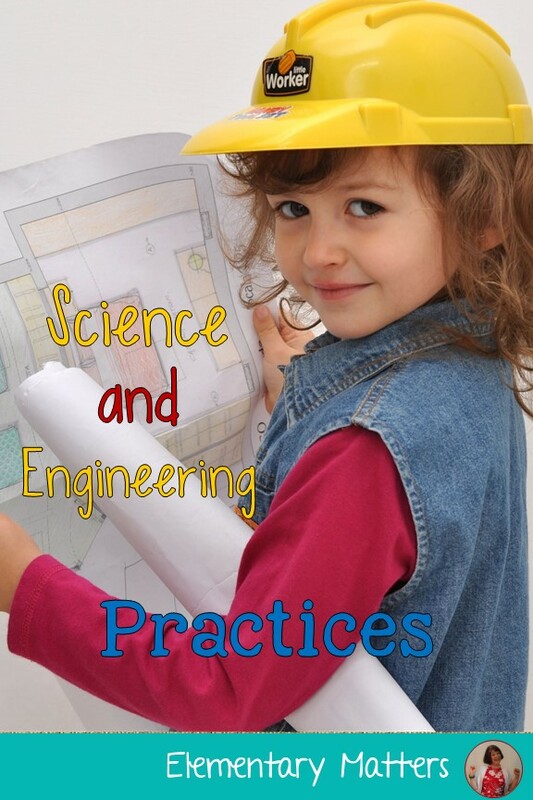 Science and Engineering aren't a priority in the classroom yet, but it's a strong area of interest for the kids! These practices are something we should be sharing regularly when we can fit them into our day. How do you embed these Science and Engineering Practices into your school day?